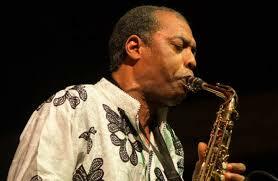 A week after attempting to break the record, Nigerian musician Femi Kuti can now claim the title of the person who has played a single note on a saxophone for the longest time but his record would still not be acknowledged by Guinness World Records. The saxophonist uses a circular breathing method to sustain the note. Unfortunately, Guinness World Records discontinued this particular category where circular breathing is used and will not certify Femi’s achievement. He thought he had broken the record last week after blowing the note for 46 minutes 38 seconds but someone pointed out that American Vann Burchfield has gone over 47 minutes.